Posted on 08/01/2017 by Ed Sutton	in Conversations, Fear & Hate, Hearts & Minds and tagged Brazil, Brian Mier, No Pasarán!, This is Hell!. Posted on 09/09/2016 by Ed Sutton	in Conversations, Edifice & Artifice, Palaces & Vaults and tagged Brazil, Brian Mier, No Pasarán!, This is Hell!. Posted on 03/02/2015 by Ed Sutton	in Conversations, Edifice & Artifice, Police & Prisons and tagged Brazil, Brian Mier, Racism, This is Hell!. Chuck Mertz: We’re speaking with our irregular correspondent in Rio de Janeiro, Brian Mier. He is social media director for the Brazilian National Urban Reform Forum and a freelance writer and producer. 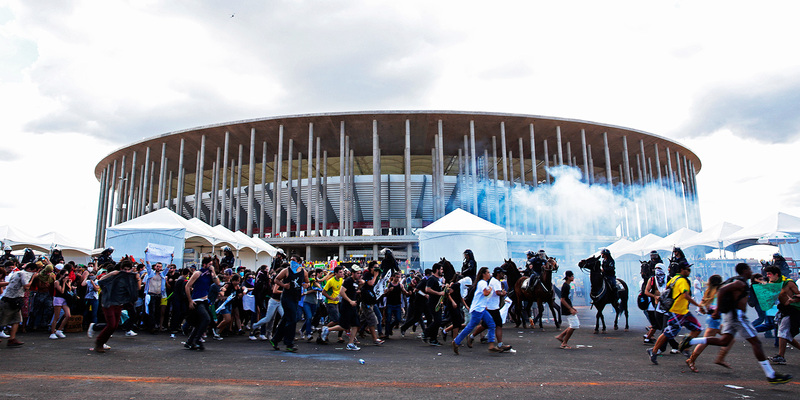 Yesterday he posted the article The Police and the Massacre of Afro-Brazilian Youth. Brian Mier: Hey, how’s it going? CM: Very well, sir. You write about a new Brazilian documentary called Point Blank. It tells the story of the past twenty years of massacres committed by the Rio de Janeiro military police. 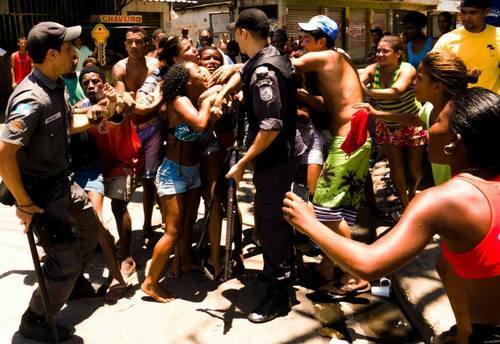 These chacinas are frequently committed in retribution for a killed police officer, and traditionally involve coming into a poor neighborhood and killing random Afro-Brazilian youth. Can you explain the hierarchy of the police forces in Brazil? BM: If you think it’s bad in Chicago, imagine having multiple police forces operating in every city. First there is the traditional civil police in Brazil that investigates robberies and homicides and things like that. Then there’s military police, which has been around for a very long time, but they were given extra powers during the military dictatorship. And when the dictatorship ended, nobody removed their special powers.